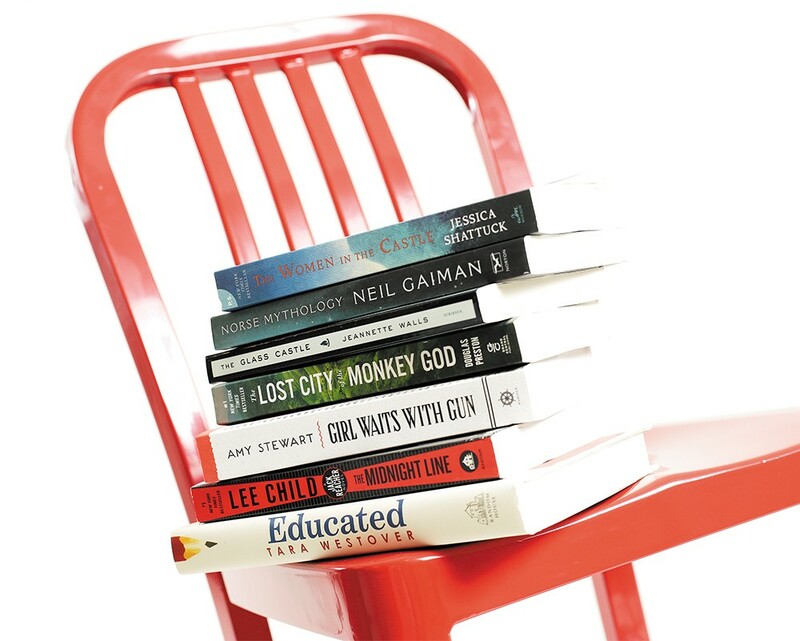 What are local bookworms reading lately? Want to know what people in the Inland Northwest are reading? We did, too. So we asked local libraries and bookstores what's flying off their shelves. The Women in the Castle by Jessica Shattuck has circulated 189 times at the Spokane Public Library. The novel tells the story of three German women and their children, exploring their various political opinions and the author's own identity as a half-German descendant of Nazis. Douglas Preston's The Lost City of the Monkey God: A True Story has been checked out 124 times by fans of nonfiction itching to uncover the drama, mystery and adventure within the author's eyewitness account of the discovery of a real-life El Dorado. Readers at Coeur d'Alene Public Library have enjoyed the latest entry in Lee Child's popular Jack Reacher series. The Midnight Line, featuring protagonist Jack Reacher on his 22nd (!) adventure, has been checked out 55 times since the start of the year. From the nonfiction shelf, 29 readers have taken home Jeannette Walls' memoir The Glass Castle, detailing the author's itinerant childhood and complex relationship with her parents. Something's cooking in the Argonne district: 234 patrons of the Spokane County Library have checked out Daniel Shumski's How to Instant Pot: Mastering All the Functions of the One Pot That Will Change the Way You Cook. This cookbook is organized by function, rather than region or theme and offers over 100 recipes utilizing the titular kitchen tool. Spokane is Reading selected Amy Stewart's Girl Waits with Gun as its 2018 book of the year, and readers agree: It has been circulated 280 times in 2018 at the county library. Be sure to catch the author's presentations in Spokane on Sept. 27! Auntie's best-selling nonfiction book of 2018, Tara Westover's Educated, tells of the author's childhood in the mountains of Idaho. Born to survivalist parents, Ms. Westover worked in her father's junkyard and learned herbalism with her mother, a midwife and healer, before discovering a passion for knowledge and using self-education to expand her horizons. Readers who prefer the more fantastical have gone for Neil Gaiman's Norse Mythology, in which the author of modern fairy tales such as Coraline and American Gods draws on his inspirations, retelling several famous Norse myths. The original print version of this article was headlined "Reader's Choice"